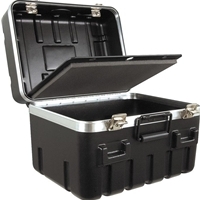 The SKB 1713 ATA Utility Equipment Case is designed to store and carry all the extra gear that must go to every gig. This case has an empty interior that can be customized to your needs. Interior Dimensions= 17 1/2" x 13" x 10"